There’s a lot to be happy about in the dog behavior and training world these days. More research that enlightens us about the cognitive capabilities and emotional world of our pets. Greater efforts to provide higher quality environments and enrichment that meet the behavioral needs of dogs and cats. Better training methods that make learning fun and enjoyable for the animals and us while minimizing stress and avoiding distress for everyone. But with all this progress comes uncertainty. 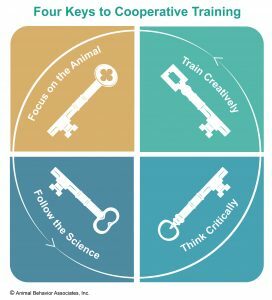 Whether you are a pet owner confused by all the conflicting training information you’re getting, a novice or intermediate trainer looking for direction when formulating training plans, or an experienced trainer or behavior consultant looking for more advanced ways to explain to your clients that dog training is no longer based on misconceptions about “dominance”, this discussion on Cooperative Training Principles is for you. Proscription won’t be very helpful to you for those conditions. Instead, we need some guiding principles, or touchstones to ground our thinking and also help us evaluate what we are considering as a course of action. Join us for a presentation of our Cooperative Training Principles and discussion with Dr. Jessica Lockhart who’ll join us to contribute her perspective on these Principles. The Chat is completed but links to the replay are at the bottom of this page for those purchasing it. The book mentioned in the Chat was “How To Think Straight About Psychology, 7th Ed.” by Keith Stanovich, Boston, MA: Allyn & Bacon Publ. 2004. 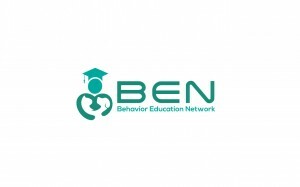 The subject matter is psychology, but the principles of research, concepts of theories, falsifiability and cause and effect apply to animal behavior as well. Any edition will present these ideas well. Weren’t able to attend the live chat? No worries, purchase the replay now for only $15.00 through PayPal. You do not need a PayPal account – you can pay with a credit card.